The advances in the internet and how this has evolved the jobseeker process is nothing short of impressive. Jobseekers can now unearth their dream job with the click of a button. Two main job seeker services, which have grown throughout the years, are Recruitment agencies and Job Boards. However, what may seem like two very similar entities, encompass diverse differences. “An agency advertises your roles on our site. They are sourcing your candidates direct. By using us, you are essentially cutting out the middle man”. This was a former sales pitch used by Avril Burke, Recruitment Operations Manager with Allen Recruitment, when she previously worked for an Irish Job Board. Avril believed that this statement was as black and white as it seemed, until she began working for Allen Recruitment. Coming from someone who has seen both sides of the fence, Avril would never doubt just how challenging a job board sales professionals’ role can be, nonetheless, the two are distinct in many ways. 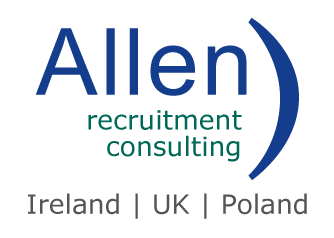 “In Allen Recruitment, each CV is carefully considered and if you are being sent on behalf of an agency you already stand out with the seal of approval from us, who are happy for your CV to be sent in their name,” Avril added. Of course, with 100’s of applications being made each day, naturally recruiters will try contact the ones that look like the best fit. Nonetheless, communication is a two-way street and here in Allen Recruitment we recommend ringing our recruiters, perhaps you left something out of your CV or just want to chat further about a role. Someone will always answer, and help you on your job hunt! Getting your CV into an agencies database is of more value than you might think, as many of our applicants in Allen Recruitment who may not get hired for the job they applied for (remember only one candidate gets hired for each job), turn out to be the perfect fit for another similar role we have.